Have you ever felt like you just didn’t have any strength left for one more minute of motherhood? Like if one more tiny human cried out “Mommy!” you might start crying? Have you ever just needed a moment of peace? 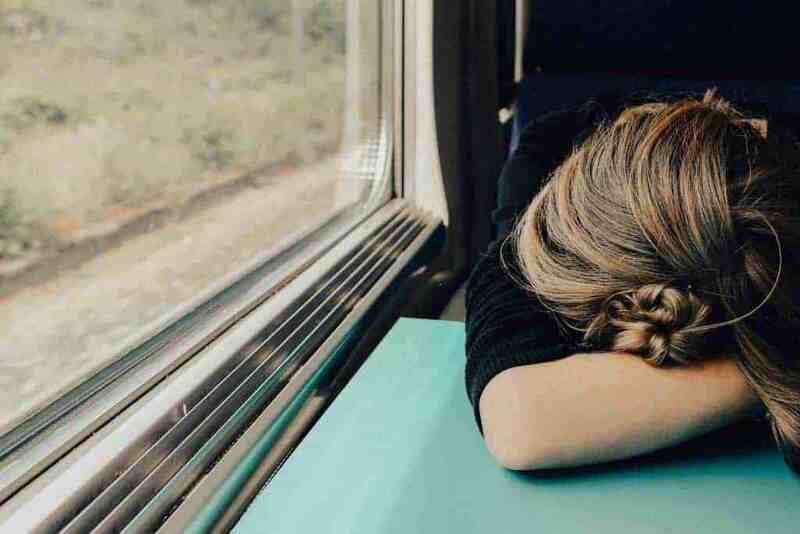 If you had asked me what I was hiding from, I’d have told you my life: the broken pipes, my kids, stress, and possibly a dozen other things that were overwhelming me. But the truth is that I was hiding from myself. I was hiding from the fact that I felt insignificant, overwhelmed, and quite ill-equipped to handle it all. And I was. I still am today. You know what I mean, right? 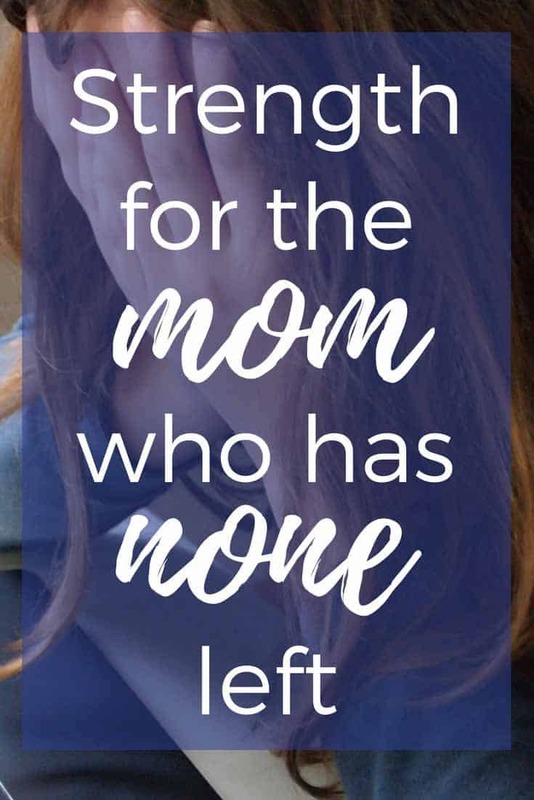 Sometimes as a mom you can feel like you’re just not good enough to be all that they need. After all, how can one person offer that much love and wisdom, discipline and structure, fun and spontaneity so that they have the best childhood imaginable? Is it even possible to keep them safe in this world, to raise them up to love God and be good citizens, and to prepare them for a solid future? Sometimes I wonder because if we’re being honest, I can’t even seem to get them all potty trained! And yet today I’m up and ready to slay the world. I realized that I was right yesterday: I can’t do it anymore. I can’t deal with the sibling squabbles, the complaining, the lack of sleep (oh sweet, LORD, give me SLEEP! ), the overflowing laundry, and the bills that often exceed the paychecks as of late. I just can’t be that strong for one more day. But here’s the thing: it’s not my job. That’s right. It’s not my job to deal with all of that. And sweet mama, it’s not your job either. It’s your job to love God and love your family. It’s God’s job to be strong. The Bible overflows with this assurance. That’s why today you can be victorious. Look at these verses and realize that your only role in them is a weak being in need of strength. You don’t generate the strength, find the grace, provide the help. You receive. God is your Father. He will not leave you without provision, protection, and passionate love showering down around you. 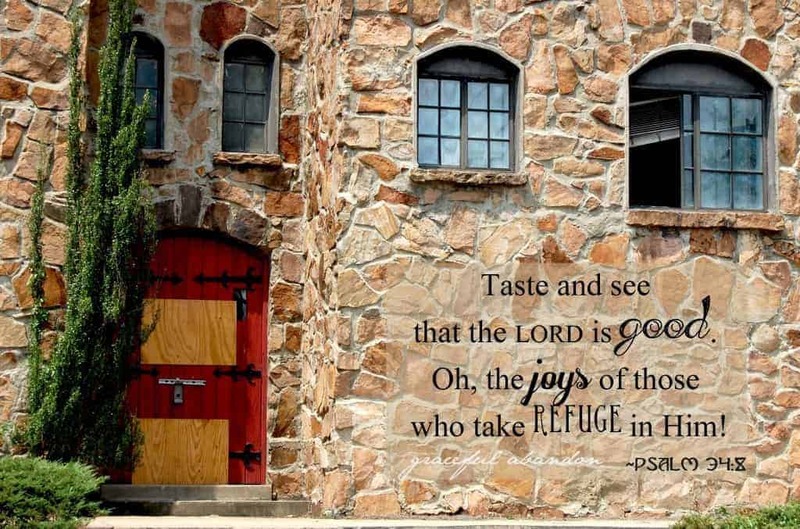 You are precious to God and He delights in protecting you, strengthening you, giving you hope, and being your refuge. So you don’t have to be Super Woman today. You can just be…YOU. You just need to love God, love your husbands and kids, and love anyone else God brings into your life. God will protect you through that. He will give you sufficient grace in each trial. He will give you strength when all you want to do is cry – or scream – or run away – or hide – or give up. You get mercies that are new every morning, grace that is sufficient for each day, and the power to do all thing through Christ you gives you strength! If you’d like to receive extra special encouragement each week in your inbox, be sure to sign up and join the Graceful Abandon community! Exactly what I needed today. I want to hide under the covers, but I’m not. Prayers for you, dear friend!